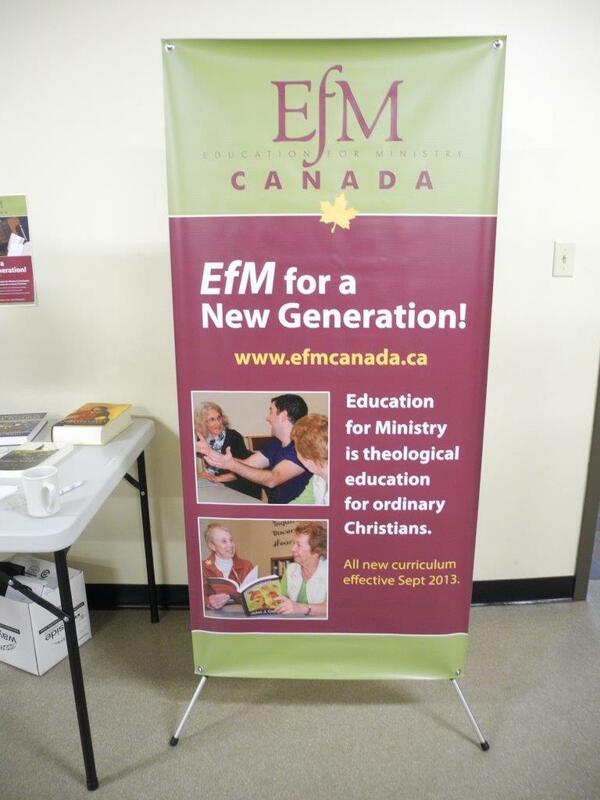 You can order the unit to use for orientation meetings, graduations, synods and any place else you want to advertise EfM. We now have three of these Units, so you should not have to wait in order to get one for your event. OR you can call the EfM-Canada office at 778 - 478 - 8313 and place your order.